A fun new way to eat thin crust pizza, which is my favorite crust, is my pepperoni pizza packets. Crispy and spicy and totally dippable! How do you like to eat pizza? Growing up I got so excited to see pizza on the school menu. Square pizza! As I have grown older, my preferences for pizza have definitely changed. I love a vegetable pizza on a super thin crust and spicy tomato sauce. Throw on some jalapenos and we are good to go. Now I am making a new way to eat pizza, pepperoni pizza packets. Ever had Pizza Rolls growing up? Those tiny bundles of sauce, cheese, and pepperoni nuggets wrapped in a flaky crust? I ate them by the truck-load after school while my parents worked, baking batch after batch in our toaster oven. I never cooked them in the microwave because they don’t get crispy that way. The pepperoni pizza packets are just like those but with more class! I didn’t come up with this recipe on my own. Remember the Freaky Friday posts I have done in the past? Freaky Friday is a blog swap that a group of bloggers participates in once a quarter. A group of us foodies throws our names in a virtual hat (or our blog names) and we are randomly assigned another blogger from the group. This is all kept a secret so no one knows who gets who, much like Secret Santa. We then pick a recipe from our assigned blog and make it, usually with our own spin on it. Together we all post them on our blogs all at the same time for our readers to enjoy. Previously I have made a Crock Pot Corn Dip, Pie Crust Cookies, Artichoke Cheese Toasts, Pan Roasted Chickpeas, Southwest Potato Croquettes, Pineapple Hummus with Smoked Paprika, and the most recent one, Margarita Shrimp Skewers. It is so fun taking recipes I know I like and adding my “tapas” spin on them, but I really love seeing others make one of my recipes with their spin on it too. Not everyone eats tapas style all the time so I love it when they change them to fit their reader’s needs. This time I was assigned Debi from Life Currents. Not only does she have great appetizers, her blog has many other types of dishes from soups to desserts. Let’s not forget that she is pretty crafty and has lots of DIY projects too. Let’s not forget her extensive ingredient index where she gives you helpful tips on how to use certain ingredients. Debi loves healthy whole foods, preserving, and getting back to real foods and methods. Debi tries not to waste food and has eliminated trans-fats from her family’s diet. 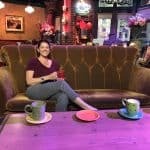 I really need to make more things from her blog as the doughnuts here in Mesa are exceptional and keep calling my name! I was feeling pizza-like when I started looking for a recipe to make so her Easy Baked Pizza Wraps caught my eye immediately. Wonton wrappers are a fun way to add some spark to recipes and I love stuffing them with lots of goodies. The wonton wrappers get super crispy when you fry them, remember my cinnamon stars? Well, they get crispy and a nice golden brown when you bake them. What better way to mimic a thin crust pizza? 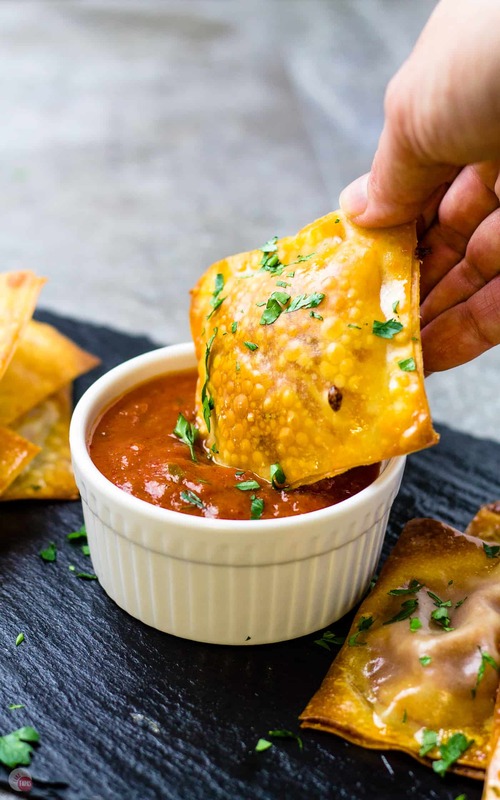 To make the Pepperoni Pizza Packets, simply lay a wonton wrapper on a parchment-lined baking sheet, top with a few pepperoni slices, some sauce, a little cheese, and seal up into a packet with one on the top. Bake until golden brown and serve with some extra sauce on the side. These are so much bigger than the Pizza Rolls I used to eat as a child and crispier too! Make a dozen or 4 dozen! You can make them and freeze them for later, which makes a great after-school snack for you and your kids. Or even an after-work snack for you! How do you like to eat your pizza? On a parchment-lined baking sheet arrange 12 wonton wrappers. On each wonton wrapper, place 2 pepperoni slices in the middle. Top with a teaspoon of sauce. Top with a tablespoon of shredded cheese keeping it all in the middle. Brush the edges with water and top with another wonton wrapper. Press the wrappers together pressing out the air in the middle and sealing the edges tight. Continue until all 12 pepperoni pizza packets are covered and sealed. Spray all the wonton wrappers with non-stick spray or brush with olive oil. Bake at 400F degrees for 15-20 minutes. Remove from the oven when they are golden brown. Serve with the remaining sauce, heated up if you prefer. When I cooked my pepperoni pizza packets it took 20 minutes to get them toasty brown. Your oven may vary so start checking on them after 10 minutes. Check out all the other bloggers and their Freaky Friday Recipes below. Can you spot which blogger got one of my recipes? Okay, I’m on a diet right now, but this just looks too good! Especially as I’m a big fan of pizzas overall, but well – who isn’t, right? 😛 I will make it together with my wife this week – I’m sure we will both love it! My kids would love these! And they’re great for game day too! I LOVE that these Pepperoni Pizza Packets have only 4 ingredients. My kiddos will LOVE helping to make AND EAT these!!! Is it wrong that I want these for breakfast? 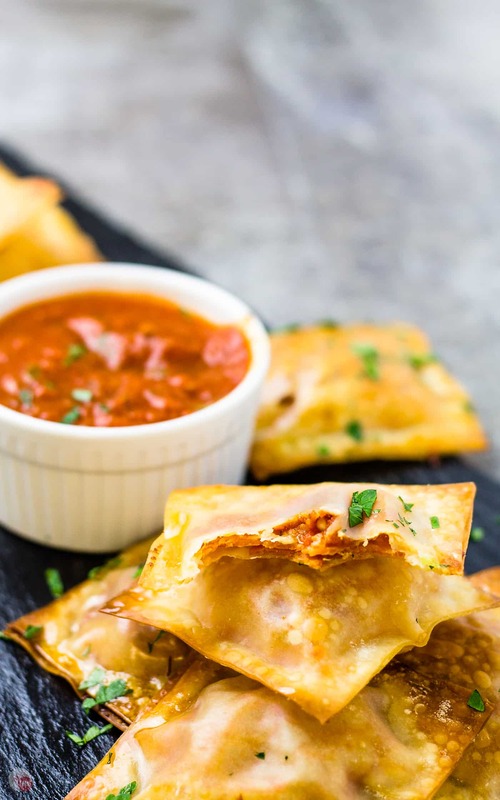 Wonton wrappers are so versatile for lots of recipes, but I have to say these pizza packets are so clever and they look delicious! These pizza packets would be the best party treat – I can’t wait to try it!! These make me think of the meme, “Mom made pizza rolls!” only way better because they are homemade. My daughter will LOVE these! Aren’t these fun! So easy, I’ve made them many times! And so delicious! I need to make them again for today’s game! Thanks for the reminder. I’m happy you picked this little recipe. 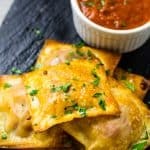 Thin crust is my favorite pizza too and these little pizza pockets look like a great bite! Perfect for snacking and great for tailgating. What a yummy bite! No doubt in my mind my family would love these packets! They look delish! These are awesome!! 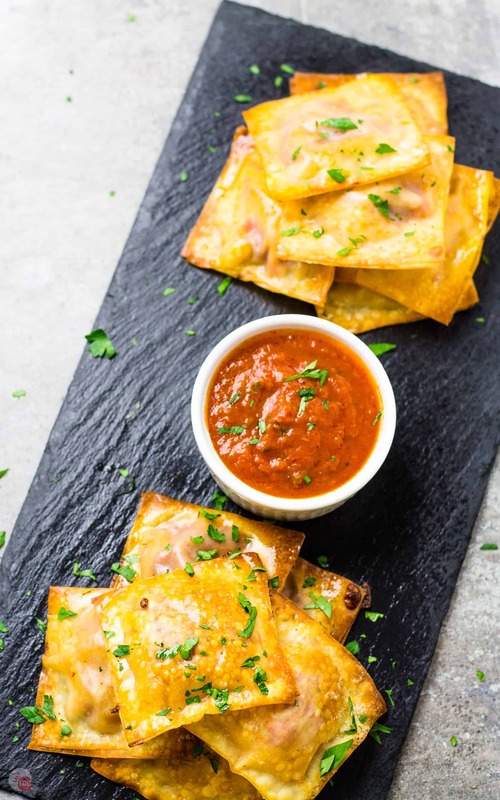 Pizza rolls are one of my guilty pleasures … These are a must try! I love these! They look delicious and sound so easy! They definitely would satisfy any pizza craving! You definitely picked an awesome looking recipe to make!! I NEED to make these asap! My kiddos will love them!! Perfect weekend snacking while watching football! 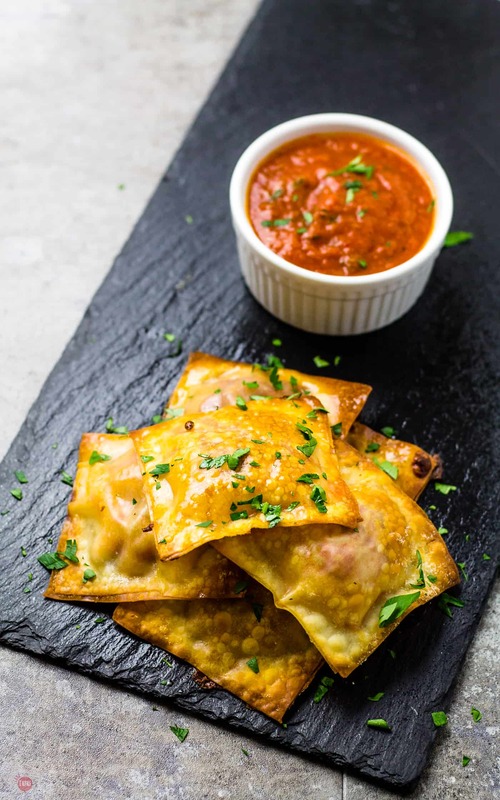 These pizza packets would make the perfect tailgating appetizer or even a lunch for the pizza lover….me! Wowsa; these little pizza pockets look absolutely delicious! We are going to have to recreate this recipe ourselves, with or without Freaky Friday!! We love Life Currents and clearly you did our friend Debi very proud with your beautiful rendition of this mouthwatering treat; great job once again!! !